Get this all-time classic treat right out of the microwave with the Prep Solutions by Progressive Microwave S'mores Maker. You can microwave two S'Mores in just 30 seconds or less using this innovative product. You simply fill the water reservoir, place your graham crackers, chocolate and marshmallow on the tray and heat. The marshmallow and chocolate heat at the same time, thus ensuring a perfect S'More every time. You must change the water in the reservoir after every second time used. 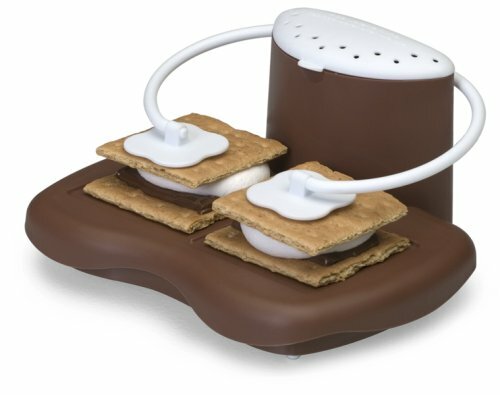 This S’Mores Maker is dishwasher-safe for easy, convenient cleaning.